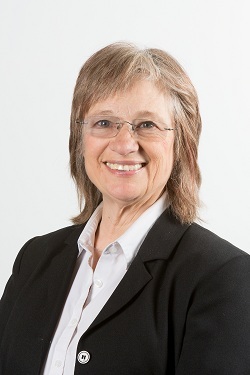 Professor Dr Helen Payne, PhD (London) is based at the University of Hertfordshire where she supervises a number of PhD candidates, teaches on doctoral, MA and Continuing Professional Development programmes in health, wellbeing and education. Since 1990 she has been accredited as a United Kingdom Council for Psychotherapy psychotherapist and is a Fellow of, and Senior Registered dance movement psychotherapist with the Association for Dance Movement Psychotherapy/DMP. She is a Fellow of the Higher Education Academy, supervises and examines doctoral candidates internationally. 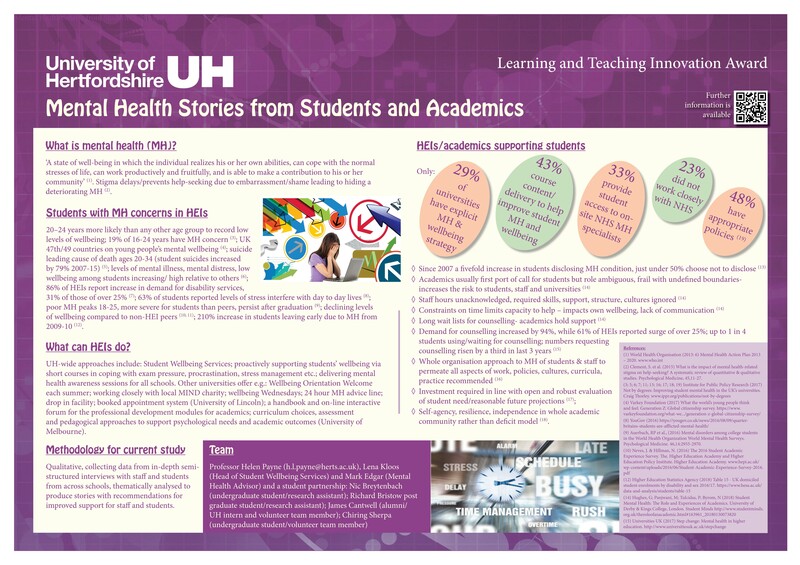 Current research activity includes mental health and wellbeing and student experience, embodied leadership and adult education such as the impact on practice of training of facilitators in The BodyMind Approach for supporting people with medically unexplained symptoms. She sits on the National Task Force for Medically Unexplained Symptoms. 2014 Principal Supervisor PhD, UH, successfully completed ‘Perceptions of causes and long term effects of academic underachievement in high IQ adults’. 2013 Second Supervisor EdD, UH, ‘Influences on beginning teacher construing: beliefs, stories and trajectories’. 2011 Principal Supervisor, PhD, UH, successfully completed ‘Psychodynamic informed bereavement support for staff working with intellectually disabled adults’. 2007 External Supervisor,PhD successfully completed, De Montfort University, ‘Dance Movement Therapy with refugee children in Bosnia’ (an ethnographic study). 2006 External Consultant, PhD, University of Limerick, Ireland ‘Dance and children with physical disability’. 2004 Principal Supervisor for first PhDsuccessfully completed in School of Social, Community, Counselling and Health Studies, UH, ‘Dance Movement Therapy with dance students in HE’. Click on image for link to book. Payne, H., Joy Jarvis & Amanda Roberts, 2019, (Submitted) In : transformative education.